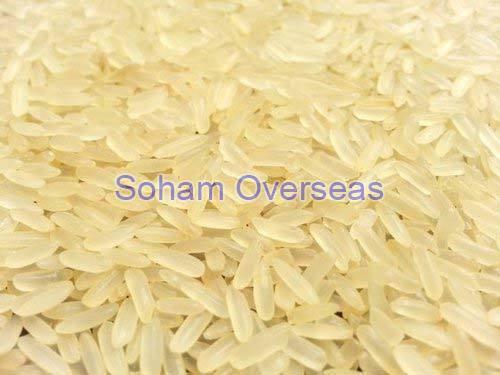 Parboiled Non Basmati Rice Manufacturer In India - Inquiry Now! Being blessed with a huge list of satisfied clients, we look forward to enlarging our clientele by providing premium grade parboiled non basmati rice at the utmost reasonable rates. Some of the renowned farmers and agricultural experts are attached with us, who leave no stone unturned in providing an adulteration-free range grown under hygienic conditions. Being a reputed parboiled non basmati rice manufacturer in India, we process the sourced assortment in our fully-equipped infrastructural facilities to meet the international quality standards. This flavorful rice is widely utilized for preparing an extensive range of delicacies and savories to please the taste buds of rice-lovers all over the globe. Just give us a ring and place an order for this exotic assortment.